I have journaled since I was a young girl. In 1996 when our family went “online,” I entered the world of online journaling through AOL. Do you remember the dial-up days? Later AOL eliminated some online journals and mine was one – gone with no way to restore. I was devastated because while it may seem sometimes that my writing is heavily instructional and impersonal, I write what God is speaking to my heart from my life and my studies of His Word. I labor over it. Journaling via computer was very convenient for me, so to safeguard the writing and have more control, I purchased my own domain and continued what is now known as “blogging.” I kept it quiet and private as I never felt a great need to have others involved in my process. Then one day I started asking God to give me the nations. I had been to Romania and He opened doors for a few more mission trips to Haiti and Tanzania. Each time I left a piece of my heart in those countries. This past year I went nowhere in the physical as far as foreign mission trips…but I have continued to pray for the nations. God gave me an instruction in December of 2017 to make my blog public. Believe it or not, sharing my heart through my writing in a public setting has been harder for me than any mission trip or speaking any message ever has….but look what the Lord did with these pieces of my heart in these last 14 months. He gave me readers from the following 108 nations! I am incredibly honored and blessed. His ways are not our ways! Today’s passages in the One Year Bible spoke to me of correction and preparation: Correction that leads to wisdom and preparation that makes way for the Glory of God. Our lives are built daily by improvements, adjustments, and corrections. Some are major and easy to notice. Other seem insignificant but are just as essential. These changes are progressive and little by little they add up and enrich our lives. In my mind’s eye, I see it as a stone wall of protection. It is a priceless blessing to have a person or a group of people in your life who will consistently point you in the right direction and help you to stay faithful to the Word of God. Correction is not always pleasant. Sometimes it hurts. But it will not only build you up but it will also shape your life. Not everyone embraces correction (or rebuke). We tend to get defensive and reject it. We get offended and see it as a personal attack. At times we make up our minds ahead of time and then fail to pause to take advantage of good counsel, and those God has provided in our lives for that purpose – our pastors, our teachers, our mentors, etc. Sometimes we meet their correction with mockery or disrespect. Sometimes we see those that yield to correction as weak. One of my prayers is for the Lord to give me wisdom, but according to all I have read in the Bible those who seek and obtain wisdom must also embrace Godly correction. Accepting it should never be seen as shameful or weak. Why? Because it is a powerful key to open the door to God’s will. If you are continuously learning and open your heart to the God-provided critique that always lines up with the Word of God, I believe you will find the wisdom you seek, and you will live life strong in the Lord and the power of His might! Along with correction and wisdom, the scriptures passages for today in Exodus and Mark spoke of preparing for the Glory of God. I believe they go hand in hand because preparation for the perfect Glory of God will not be completed without some form of correction by God through His servants, through His Word, or by Him directly. We must have His guidance every step of the way just as Moses did and we stay in places of prayer and the Word as Jesus did. I think we will find that receiving correction is a great part in preparing the way! Father, Help me to prepare for Your Glory and Your Glory alone!!! Teach me and show me the necessary details of each step of the process. Teach me through Your Word, Your servants, and through Your own Voice. Lord, surround me with those who will challenge me to stay grounded in truth. Give me a heart that is open Godly correction. Holy Ghost, help me to yield as You correct me of anything and in whatever ways necessary to line my life with You and Your Word. In Jesus Name I ask. Amen! 3. The fear of the Lord. In our passage in Exodus God had instructed Moses regarding the building of His Tabernacle. Moses instructed Bezaleel and Bezaleel carried out those instructions precisely. In Matthew, Mary Magdalene and other women are at the tomb. There was a great earthquake as the angel rolled away the stone and the Bible says that the men keeping watch were so fearful that they fell over like dead men. Later these men went to report to the elder all that had happened, and they were both paid and instructed to tell another story. The Bible says that they did as they were “taught.” Instruction (teaching) can be used for both good and evil purposes. At the end of the book of Matthew, we read of Jesus giving the disciples what we call the Great Commission. To go, baptize, and teach! Psalm 34:1 says, Come, ye children, hearken unto me: I will teach you the fear of the LORD. And the Psalmist then goes on to teach us. It is Valentine’s Day, and I am taken back now to the passage in Matthew because it was the story of the Resurrection of our Lord and the story of the Greatest Love. It is the story of Jesus… Rabonni – our Master and Teacher! What faithful love He has shown through His life, death, burial, resurrection but even so today as He continues to sit at the right hand of the Father praying for you and for me. Thank you Father for weaving these Scriptures together to teach us Your Word and speak to our heart. 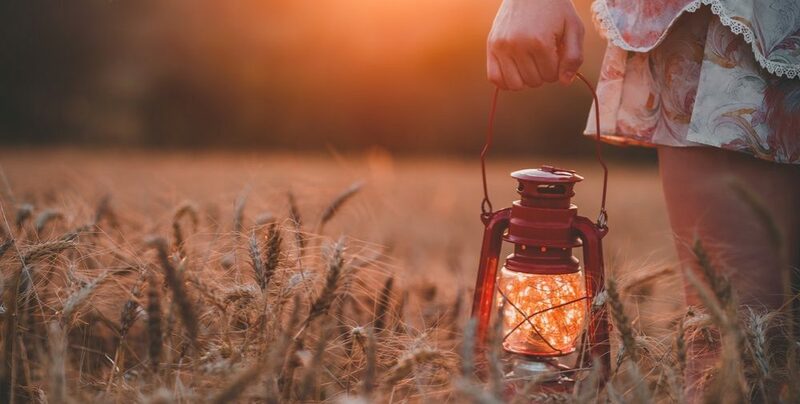 He reminds us today that to make it through this day and these days ahead – walk the path He is lighting for you – in His Love, in obedience to His teaching, and in the fear of the Lord. Peter says the end is near and because of that Christians should remain alert, continue in prayer, and focus on loving each other. In my Bible, this section of 1 Peter is labeled “Living for God.” It reminds me of an old hymn that begins, “Living for Jesus a life that is true, striving to please him in all that I do.” I think Peter would have appreciated the word “striving” here because it seems a lot like the word, “fervent.” These words give us a picture of an athlete straining to win. They speak of perseverance and intensity. Love is fervent, and Peter was fervent. He tried hard, but he didn’t always succeed. Yet in his failures, Peter learned that love is also forgiving. He learned “love covers over a multitude of sins.” Jesus’ love covered Peter’s sins, and His great love will cover yours and mine as well. Should we not also cover and forgive as Jesus does? Love is fervent and forgiving, and it is practical and demonstrated with attitudes that glorify God. The practical application taught here is to show hospitality to one another – without grudging. Peter understood hospitality as more than greeting people before or after church services; more than having friends over for dinner. Real hospitality is expressed in self-sacrificing ways without grumbling or resentment. Fervent, forgiving, practical, glorifying God – true Christian love will create strong bonds and have amazing results because true Christian love always points others to Jesus! It’s a mystery to me that sometimes Jesus told those whom he healed to go and tell others, and sometimes he told them to keep silent. The reasons for this are not always obvious from scripture, and I’ve read several commentaries that try to give various explanations. But all attempts at explanation aside, there’s one thing that I cannot get past- that disobedience to Christ, no matter how well-intentioned, is still disobedience. I don’t want to read too much into this passage here. The man who was deaf and dumb was indeed healed by Christ, but the fact remains that Jesus kept ordering him not to tell anyone what he had done, but he just kept doing it. This takes me to a place of self-examination. Am I a Christ-follower or simply a Christ-admirer? This seems to defy human thinking. Just take a look at children, what do they do? They fight for the front seat in the car, they want the first piece and biggest piece of cake, they want to be the leader of the pack, etc. Our natural tendencies are not to sit in the back seat, but to drive the car. Probably the most famous missionary quotes of the twentieth-century was made by Jim Elliot when he said “He is no fool who gives up what he cannot keep to gain that which he cannot lose.” Men and women who spend their lives in the pursuits of power and fame lose everything in the end. Those who seek first the kingdom of God and walk as Christ walked, serving others, gain everything in the end. Lord, I pray that you help me to keep this in the forefront of my very human mind. Numbers 6:1-2 – And the Lord spake unto Moses saying, speak unto the children of Israel, and say unto them, when either man or woman shall separate themselves to vow a vow of a Nazarite, to separate themselves unto the Lord. Mark 12:11 – When they shall lead you and deliver you up, take no thought beforehand what ye shall speak, neither do ye premeditate but whatsoever shall be given you in that hour, that speak ye: for it is not ye that speak, but the Holy Ghost. Mark 13:13 – and ye shall be hated by all men for my name’s sake: but he that shall endure unto the end, the same shall be saved. Psalm 49:15 – But God will redeem my soul from the power of the grave: for he shall receive me. Selah. Psalm 49:20 – Man that is in honor and understandeth not, is like the beasts that perish. Proverbs 10:27a; 28a – fear of the Lord prolongeth days; hope of the righteous shall be gladness. The Lord is speaking to me today about the Nazarite. I feel like I have separated myself unto the Lord. I pray that God helps me to be found faithful in all that He requires and asks me to do. Please God give me strength and help in this hour, from Your Word or from any source You chose. Please God give me discernment. The Nazarite (means one separated) was a person who was separated completely to the Lord. Absention from wine, the symbol of natural joy, was the expression of devotedness which found all it’s joy in the Lord. The long hair of the Nazarite, was naturally a reproach to others. It was a visible sign of the Nazarite’s separation and willingness to bear reproach for the Lord’s sake. The Nazarite found the perfect fulfillment in Jesus who was holy, harmless, undefiled, “separate from sinners” and utterly set apart to the Father and allowed no mere natural claim to hinder or divert Him. Psalm 97:12 – Rejoice in the Lord, ye righteous; and give thanks at the remembrance of his holiness. Habakkuk 3:18 – Yet I will rejoice in the Lord; I will joy in the God of my salvation. Philippians 3:3 – For we are the circumcision which worship God in the spirit and rejoice in Christ Jesus, and have no confidence in the flesh. Philippians 4:4 – Rejoice in the Lord alway: and again I say, Rejoice. Philippians 4:10 – But I rejoiced in the Lord greatly, that now at the last your care of me hath flourished again; wherein ye were also careful, but ye lacked opportunity. 1 Corinthians 11:14 – Doth not even nature itself teach you, that, if a man have long hair, it is a shame unto him? Hebrews 7:26 – For such an high priest became us, who is holy, harmless, undefiled, separate from sinners and made higher than the heavens. John 1:18 – No man hath seen God at any time; the only begotten Son, which is in the bosom of the Father, he hath declared him. John 6:38 – For I came down from heaven not to do mine own will, but the will of him that sent me. Matthew 12:46-50 – While he yet talked to the people, behold his mother and his brethren stood without desiring to speak with him. Then one said unto him, Behold, thy mother and thy brethren stand without, desiring to speak with thee. But he answered and said unto him that told him, Who is my mother? and who are my brethren? And he stretched forth his hand toward his disciples, and said, Behold my mother and my brethren! For whosoever shall do the will of my Father which is in heaven, the same is my brother and sister ad mother. These passages and the study regarding the Nazarite was a real encouragement for me. Often this walk is so difficult because of the loneliness. Sometimes for me though the loneliness is right in the middle of a crowd. Often it seems there is no where to fit. I don’t fit with one crowd or the other. Lord help me! I ASK YOU, PLEASE HELP ME WITH THIS and TO BE CONTENT WHEREVER YOU MAY HAVE ME. In JESUS Name. Amen!! !